Mo Ivory, television and radio personality and community advocate, will deliver the Founders Lecture, “The Mingling of Media: Politics, Entertainment and Social Justice,” at Georgia State University on Thursday, Oct. 20. The lecture, free and open to the public, will take place at 6:30 p.m. in the Centennial Hall Auditorium (100 Auburn Ave. NE). The talk is hosted by the Honors College and is in recognition of Nancy R. Mansfield, director of WomenLead and professor of legal studies. Ivory is an attorney, adjunct professor of law, radio and television personality, speaker and community advocate. 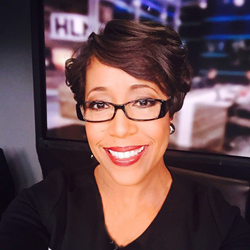 She appears on television networks such as CNN, HLN, MSNBC, Fox and TVOne, offering her commentary on news items and legal cases. Ivory is the co-host of “Afternoons with Tony, Mo & George” on Washington, D.C.,’s WHUR 96.3, which airs daily from 3 to 7 p.m. She is also the host of “The Mo Ivory Show” on SiriusXM Radio and teaches entertainment law at Howard University School of Law. "As we near another historic presidential election in our country, during a time of such cultural and social unrest,” Ivory said, “it is more timely than ever to discuss the connections among media, politics, entertainment and social justice."